Creating your own compost from food scraps, leaves, clippings and other organic waste products is a lot like learning to ride a bicycle. You can learn the theory of making compost, but you won’t have any real feeling for it until you create your first compost heap. Luckily, getting started is as simple as finding a place for the compost to live and knowing which components to add to create the compost best for your type of plants. 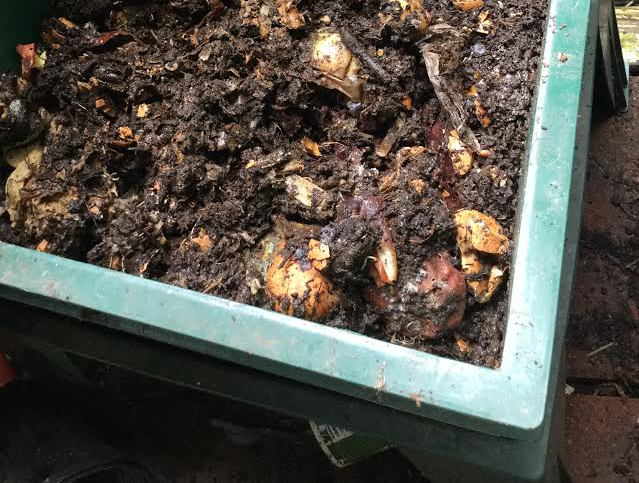 Before I go into some tricks and different methods of composting, let me first talk a bit about what compost is and why we want it in our gardens. 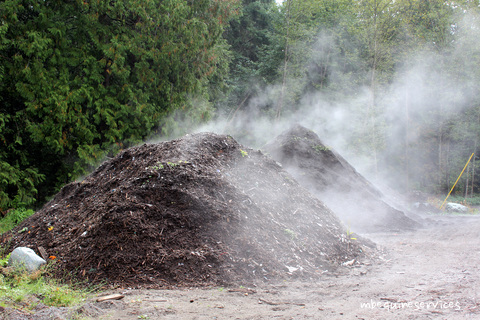 Compost is a rather loose term applied to the product of decomposition of organic material by biological processes. Decaying matter is converted by various microorganisms, primarily bacteria and fungi, into a stabilized soil product that has balanced pH, resists erosion, and has plenty of porosity (holes for oxygen and water). It also contains minerals in a form that can be consumed by plant roots and provides a habitat that supports an abundance of biological life. That this miraculous stuff can be produced from dead leaves, grass clippings, and the leftovers of your family’s dinner is pretty amazing. This is a result of biological organisms being able to construct micro structures out of proteins and enzymes that blow away anything we’ve yet produced through nanotech. When I was doing my undergraduate studies in aerospace engineering, I used to view soil science as some kind of boring punishment to inflict on unsuspecting students, but now that I realize the complexity of the biology, chemistry and physical processes going on under my feet my perspective has changed dramatically. 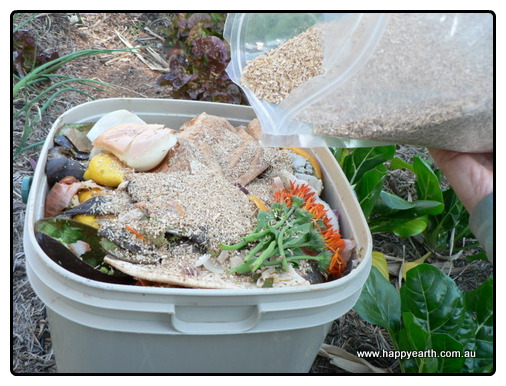 One of the interesting facets of composting is that it’s a bit like cooking in the kitchen. You can mix different source materials into your final heap and end up with a different final product. This is extremely useful for when you are building compost for woody plants (trees and bushes) which prefer alkaline soil profiles versus annual plants that prefer a slightly acidic soil profile. Unfortunately, the details of the composting process are still poorly understood, so the number of available “recipes” for compost are currently a bit limited. However, the ones that are known have been tested thoroughly, so in the next section I’ll go through hot composting, vermicasting (for those with smaller areas and needs), and bokashi anaerobic composting (which I admit to not actually trying out myself yet). 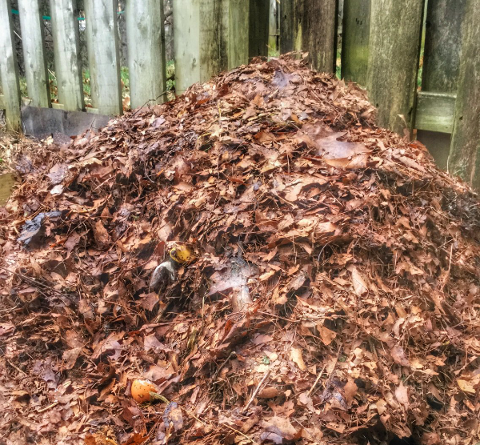 In classical composting, which we are probably most familiar with, a big pile of leaves or grass clippings sits and over an extended period of time starts to gradually decay into soil. This usually takes over a year and the pile will still have a matted layer of material on the top. In hot or “berkeley method” composting, the composting process is managed more carefully, speeding up the process to an ideal 18-day process. 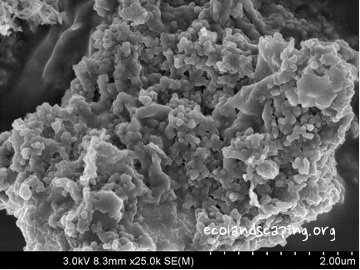 When creating the pile a ratio of 15-20:1 carbon to nitrogen source materials is used. The nitrogen materials provide a high energy fuel to get the mesophilic micro-organisms rocking. The overall temperature of the pile rises, causing the organic matter to decay much faster. As the pile is turned inside out, oxygen and water help feed the micro-organisms and the temperature further increases. At this point, thermophilic bacteria take over and further increase the rate of decomposition. As the entire pile nears it’s final transformation, the temperature drops and the mesophilic bacteria take over again. Geoff Lawton of the Permaculture Research Institute has a great video on soils that goes into much more detail about hot composting here but I’ve included a few key points below. Once you start the compost process don’t add new materials. Some of us (maybe most?) don’t really have enough room for the ideal hot composting setup (2 composting areas big enough for a 5-ft tall compost pile). Luckily there are smaller solutions that work for those of us with a smaller area. Earthworms are amazing creatures that contain a lot of beneficial bacteria in their guts. As they eat organic materials, they process and innoculate the material going through their guts, creating vermicasts which are super-charged fertilizer for annual vegetables. They eat up to half their bodyweight per day, so a pound of worms could ideally process a half-pound of kitchen scraps a day into vermicastings. Earthworms are fairly easy to take care of, but you need to make sure you don’t add too many kitchen scraps (which tend to be nitrogens) in ratio to brown matter (shredded newspaper/cardboard, leaves, etc.) otherwise the acidic environment starts to become too wet and stinky and leads to the worms starting to dissolve. You can keep a simple plastic tub for your worm composting, but it will require turning over with a small shovel or pitchfork every few days. 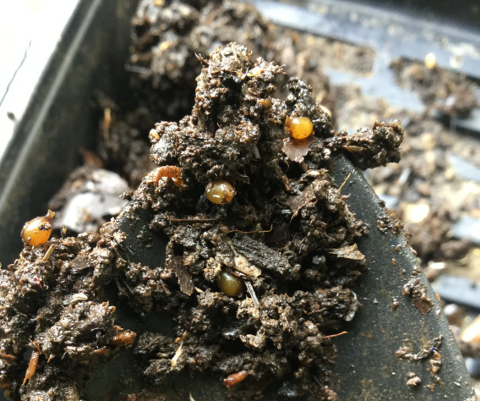 There are some commercial solutions for worm composting out there; the most popular being worm towers that involve stacking layers of plastic bins with holes on the bottom for the worms to travel up as they consume the scraps in each layer. However, I’ve found that the worms stay pretty much where they are and the wormtower is mostly useful for easier maintenance of turning over. You can collect earthworms from your garden, but have a really productive worm bin you need about a pound of worms (approx. 2000), which you can find at places like Uncle Jim’s Worm Farm. I won’t cover this form of composting in much detail, since I haven’t had a chance yet to experiment with it, but what differentiates this process is that you deliberately work with anaerobic microorganisms to “ferment” your kitchen scraps, which can include meat and dairy (which are not normally used in regular composting). You basically throw your scraps into an air-tight bucket with some of these friendly micro-organisms (I maintain a sourdough culture that I’ve used for years to bake sourdough breads, so the idea of the process is familiar to me) and let them ferment the scraps down. The result is an thoroughly pickled pre-compost, which you then bury in the garden (but not near your plants) to let it finish composting. Visit the-compost-gardener for more information on getting started with bokashi gardening.